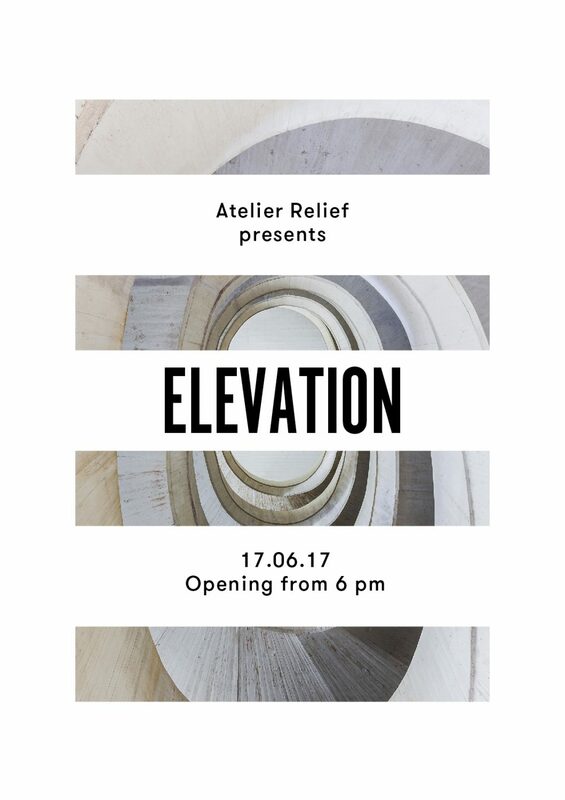 For its second anniversary, Atelier Relief presents « Elevation », a dialogue of forms between 5 photographers. A series of extreme-reliefs, photos of building facades, stairs, high-built motorways and flyovers, a look upon the soaring constructions of mankind, where the volume of reliefs echo the volume of the structures themselves. Dirk Bakker alias @macenzo (Instagram) lives in Amsterdam. He captures the « lines of the city », creating a rhythm that attracts the eye. Two of his reliefs made for the Atelier present a mystery-filled ovoid vessel along with towers that call out with their vertical twists. Michel Figuet, cofounder of the lab « Imaginoir », he learns with Jean-Loup Sieff, Peter Lindbergh, Sebastiao Salgado, Sarah Moon. Author of three books (Room with a view, Traveller Photographs, House by Diane Keaton), he has been a photographer for Paul Smith, Karl Lagerfeld, Valentino, Gucci, Etam, Air France, Virgin, Universal and Sony. 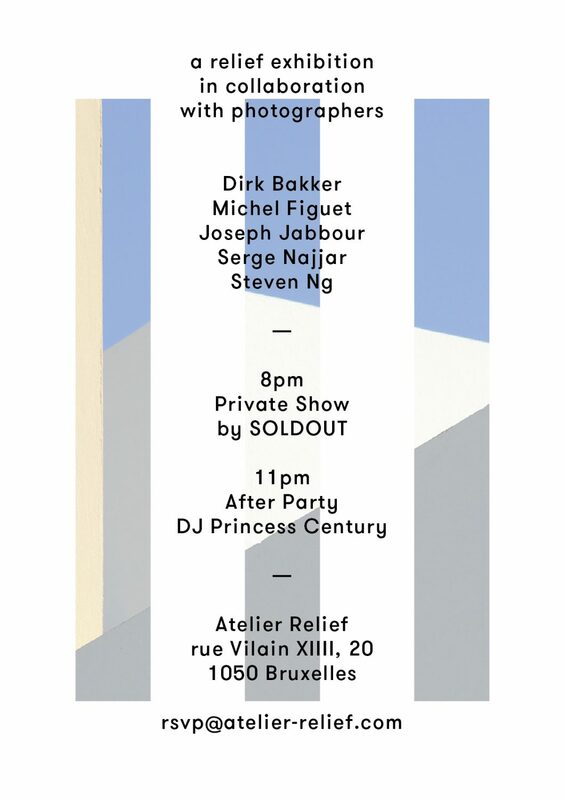 For Atelier Relief, he traces his luminous facades with shadow, reels in staircases as still as the eye of the cyclone and motorways ready to flyaway. Joseph Jabbour, architect and photographer, musician of the city, playing with textures he explores minimalism and the graphic nature of the urban landscape. His language is composed of broken lines, rays of light and running shadows. His storied windows are like notes upon a staff. Steven Ng began photography in 2014. His images of facades are a game of angles and symmetries, of myriads of windows. His perspectives, at the intersections of infinite lines, instil a new sense of vertigo: horizontal vertigo. Serge Najjar photographs the relationship between individuals and architecture. With a sharp eye, he captures the limit between chaos and order. Since 2011, he has published on Instagram (@serjios), and exhibited: Tanit Gallery (Beirut, Munich), Edelman Gallery (Chicago). His walls of relief oppose straight lines and diagonals, the contour of the stone and the presence of shadow, complex cubist partition and simple figures.